...err, that's it - just ducks! Got to get them in a row!!! Don't the last two look like they are having a conversation, lagging behind the rest. 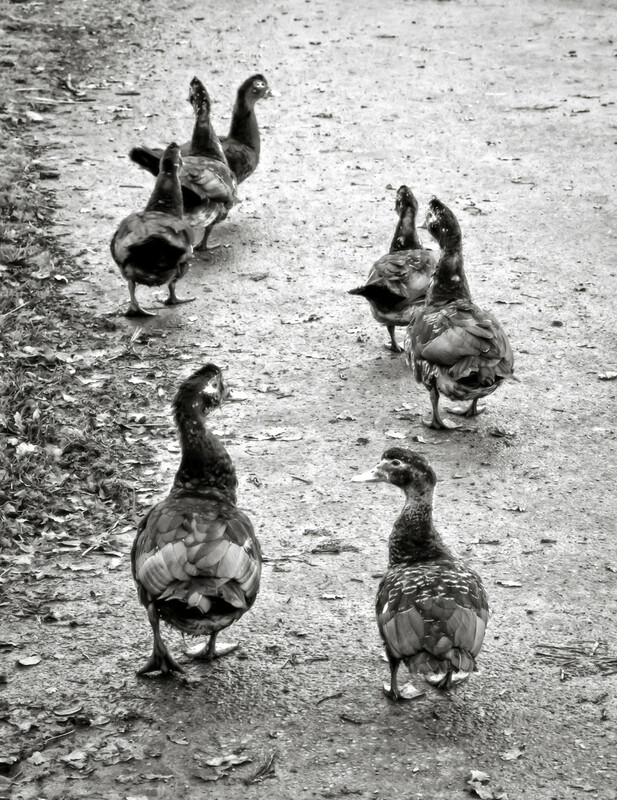 @joansmor These are farmyard ducks and were part of a much larger group walking along the road outside the farm - with chickens and geese there must be the best part of a hundred free-range birds. It looks like they are walking with a purpose. @henrir They are Henri - after a day spent foraging in the surrounding fields, they're on their way home. Waddle, waddle, quack, quack, wonderful PoV. Nice shot and lucky ducks. Very sweet capture and I can envision their waddle...fav.